A total of 292 patients completed the survey (response rate = 94%); 12.3% of patients were active marijuana users, 39.0% were past users, and 48.6% were never users. Among current and past users, 16.4% of patients used marijuana for disease symptoms, the majority of whom felt marijuana was “very helpful” for relief of abdominal pain, nausea, and diarrhea. Half of the never users expressed an interest in using marijuana for abdominal pain, were it legally available (Allegretti, Jessica, Andrew Courtwright, and colleagues). 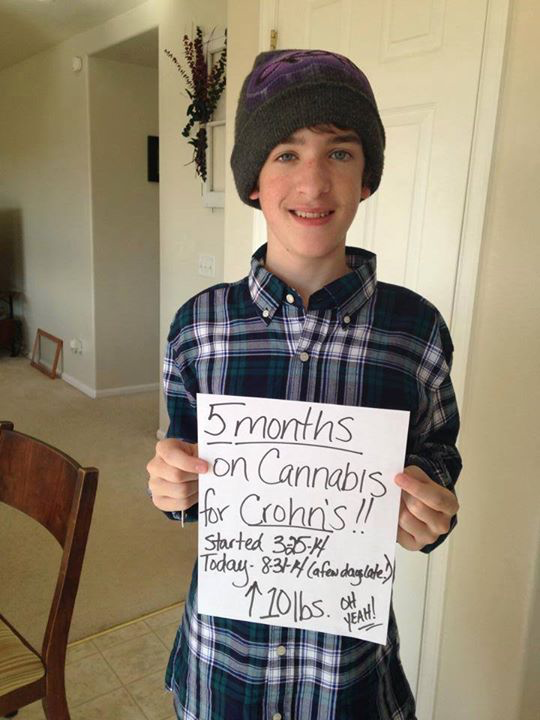 Cannabinoid Receptor-2 Ameliorates Inflammation in Murine Model of Crohn’s Disease.